Author, Laura Bickle » Visit the Weird West for Pocket Change! Visit the Weird West for Pocket Change! 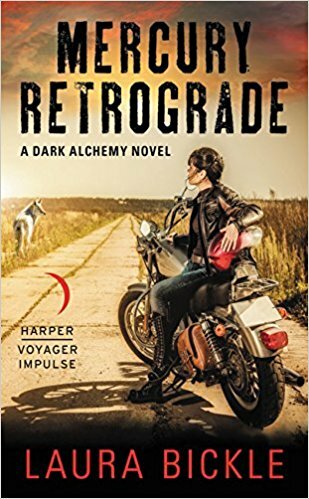 Exciting news – DARK ALCHEMY and MERCURY RETROGRADE are both Kindle Monthly Deals for May! The ebooks are each .99, so snag your chance to visit the weird wild west! 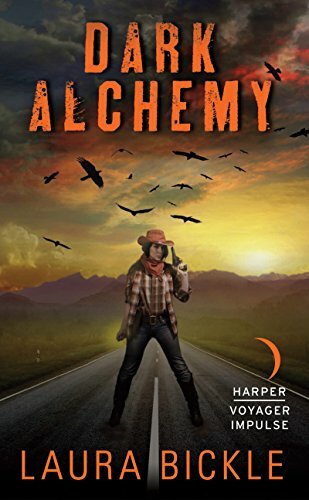 Stephen King’s The Gunslinger meets Breaking Bad in Laura Bickle’s novel Dark Alchemy. Geologist Petra Dee arrives in Wyoming looking for clues to her father’s disappearance years before. What she finds instead is Temperance, a dying Western town with a gold rush past and a meth-infested present. But under the town’s dust and quiet, an old power is shifting. When bodies start turning up – desiccated and twisted skeletons that Petra can’t scientifically explain – her investigations land her in the middle of a covert war between the town’s most powerful interests. Petra’s father wasn’t the only one searching for the alchemical secrets of Temperance, and those still looking are now ready to kill. Armed with nothing but shaky alliances, a pair of antique guns, and a relic she doesn’t understand, the only thing Petra knows for sure is that she and her coyote sidekick are going to have to move fast, or die next. Pick it up now for .99 on Amazon. It’s been two months since Petra Dee and her coyote sidekick Sig faced off against Temperance’s resident alchemist, but things are far from quiet. When an Internet video of a massive snake in the backcountry of Yellowstone goes viral, a chase for the mythical basilisk is on. Monster hunters swarm into the area, and never one to pass up the promise of discovery, Petra joins in the search. Among the newcomers is a snake cult on wheels – the biker gang Sisters of Serpens. Unlike some, the Sisters don’t want to kill the basilisk – they want to worship it. But things get complicated when the basilisk develops a taste for human flesh that rivals the Sisters’ own murderous skills. Meanwhile, the alchemical tree of life is dying, and the undead Hanged Men of Temperance who depend on it know the basilisk may be their last chance for survival. With time running out for everyone around her, Petra will be forced to decide who survives and who she must leave behind in this action-packed sequel to Dark Alchemy. Feb, 26: Phoenixes, New Audiobooks, and…an Odd Take on Hamlet? Sep, 13: Who let that dinosaur into the house? Priscilla Bettis: I love the blurb for Phoenix Falling. That’s my kind of book, but both stories sound great.